How do you activate the Dyslexia setting? In the system go to > Manage > students > search student > open > Edit > Here you can enable the Dyslexia option. 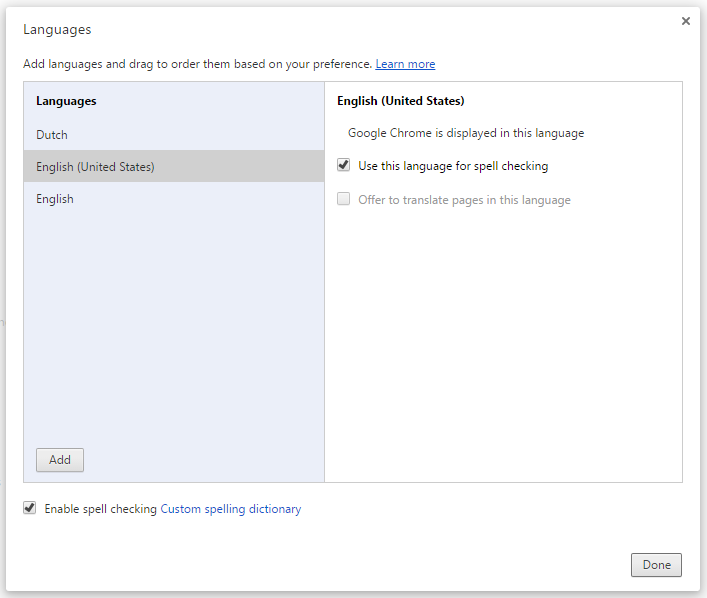 Students with dyslexia can use the built-in spell checker in Google Chrome. In Google Chrome, go to chrome://settings/. Scroll down and click 'Show advanced settings'. Go to 'Language and input settings', select 'English - United States' and tick 'Use this language for spell checking'. Also, we can provide schools with all texts, so they can be read to students by special software, such as Kurzweil.